Monthly Promotion: Is it Time to Start your Engines with Palace of Chance? Do you smell the burning rubber and smoking tires? The time has come for the big race at the Palace of Chance Casino racetrack, and that can only mean one thing. Gentleman (and ladies) start your engines! Get ready to witness the pure excitement and non-stop thrills of big time bonuses all month long, because your Palace of Chance pit crew just put on your winning wheels. Don’t worry about waiting for the green light to get the good times started, the Palace of Chance 500 is already underway, and you’ve got everything needed to claim the checkered flag! Do you feel the need for speed? It’s the perfect time to bottle that adrenaline and transfer it to your time at the best online casino in the industry. 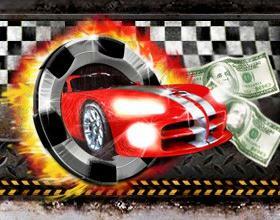 Don’t worry; we’ve got just the deals to get you speeding toward a big win in no time at all. Get your motor running with your choice of three fast and furious promotional offers available all month long. If slots and keno are your kinds of games, then you’ll definitely want to check out the massive 455 percent bonus, which features a 30 times playthrough restriction and a 10 times max cash-out limit and can be applied to any deposit of $40 or more. Feel like adding a little more horsepower to your bankroll? Up your deposit to $100 or more to take advantage of the supercharged 610 percent bonus available on every slots and keno title in the house. If you’re feeling like a bit of a rebel, get rid of the rules by taking advantage of the 200 percent bonus offer, which can be used on nearly every game in the casino. You really can’t go wrong when the deals are this good! 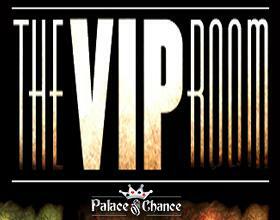 As always the very best deals are reserved for the Palace of Chance VIPs. Slots and keno players have a choice between a 475 percent bonus on deposits of $40 or more and a 630 percent bonus on deposits of $100 or more. Whichever option you choose, the promotion will feature a 30 times playthrough restriction and a 10 times max cash-out limit. If slots and keno don’t get your motor running, look no further than the 220 percent no-rules bonus, which is available for every game except blackjack. It definitely pays to be a VIP at this casino. With lap after lap of amazing bonuses, the race at the Palace of Chance Casino racetrack is your chance to put your bankroll into overdrive. If you’re interested in becoming a VIP, feel free to contact our award-winning customer service team at any time. Likewise, if you’ve got any questions regarding how to activate your bonuses, simply navigate to the Contact Us page of our website. Whether you’re a Palace of Chance regular or a newcomer, this month’s deals are simply too good to pass up. Strap yourself in, and crank up your engine. This race looks like it could be one seriously profitable affair.